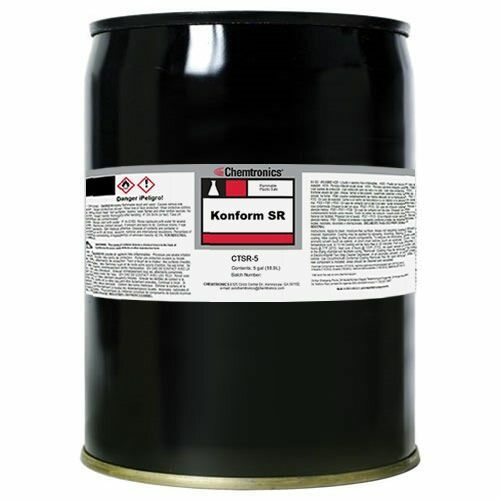 Konform® SR provides maximum flexibility for extreme temperatures. 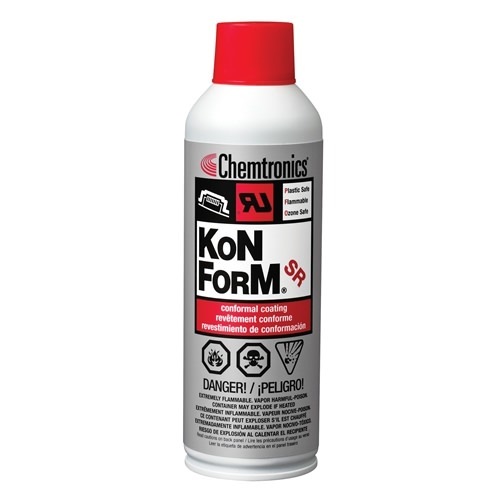 This transparent conformal coating provides ideal protection for both rigid and flexible printed circuit boards. Cured coatings are hydrolytically stable and retain their physical electrical properties after high temperature and humidity exposure. 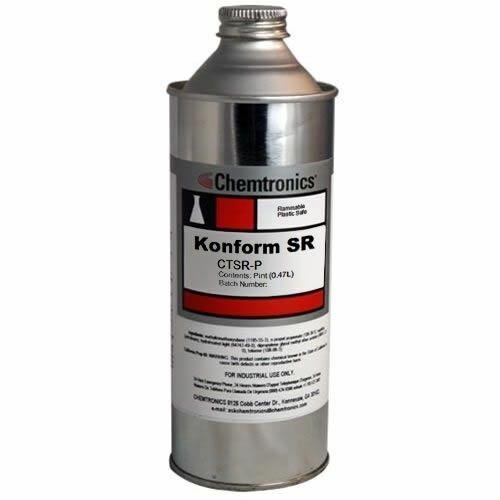 Konform® SR will not stress delicate circuit components.